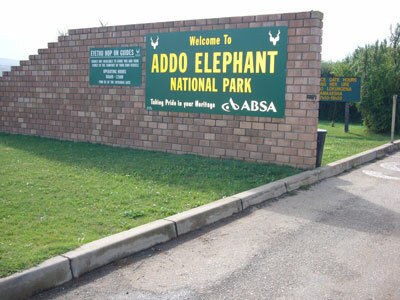 The Addo Elephant National Park is located north east of Port Elizabeth in the Malaria free Sundays River Valley area and is an approx 1 hour drive from the airport. Now home of the Big 5. 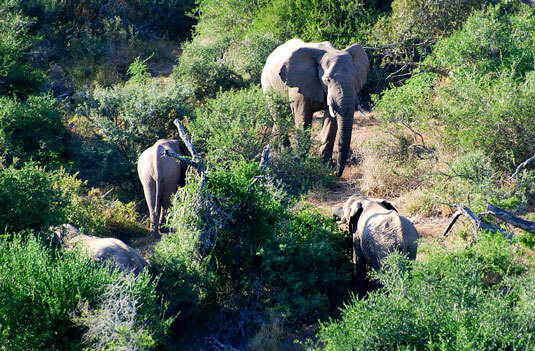 The Addo Elephant National Park is South Africa's 3rd largest National Park - originally proclaimed in 1931, to save the last remaining Cape Elephant, with possibly only 11 of these large pachyderms left in that area. What a success story. There are now in excess of 500 and in order to broaden their genetic diversity, some bulls from the Kruger National Park have relatively recently been introduced. Other animals have also been brought back to Addo from local extinction, one of the most significant being the African lion - Pantera pardus, thus escalating the Park to Big Five status. No need now for those wishing to only visit the Cape to have to travel further. The area is slowly getting back to what it must have been like before man's destruction of the wildlife. The Park is presently 180,000 ha with plans to enlarge the protected area to 264,000 ha progressing well. This Greater Addo area includes St Croix and Bird Islands, just off the coast, these islands host the largest breeding colony of the Cape Gannet and second largest breeding colony of African Penguin. 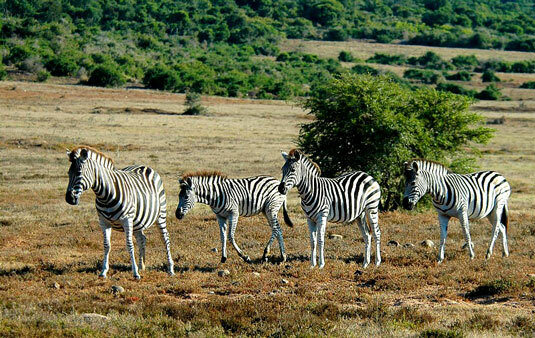 With this diversity of biomes in the area, with hosting the Big 7, elephant, rhino (both black and white) lion, leopard, buffalo, whales and the great white shark and then a very large diversity of antelope species as well, the Addo area has become a rewarding wildlife destination. 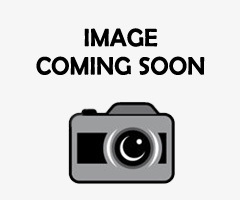 Some specials too and some very threatened, such as the Addo flightless dung beetle ! The first private concession in a National Park, Gorah Elephant Camp is a premier lodge set in the heart of the malaria-free, Big 5 Addo Elephant National Park. The Gorah House - Restored to it's 19th century colonial splendor and period furnished, the main house reflects a noble opulence and delivers the meticulous service and attention to detail that characterises Hunter's properties. Hidden away in the thick bushveld of the Addo Elephant Park, one can find Mathyolweni Rest camp, a satellite camp located in the new southern wedge near the small town of Colchester. Mathyolweni Rest camp derives it's name from the Xhosa word which means "in the bush", offering peace and tranquility far away from the hustle and bustle of the city. 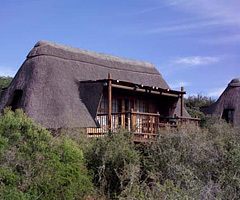 Hidden next to the Witriver in the Zuurberg Mountains about 22 km from the main Addo rest camp you will find the authentic rustic Narina Bush Camp. 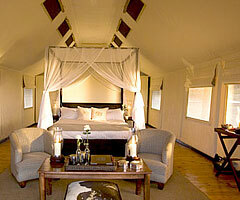 Narina Bush Camp is a tented camp that incorporates 4 tents and must be booked as one unit & due to the true rustic nature of the camp, there is no electricity or shops provided. 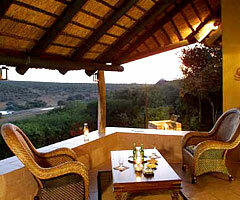 For the very adventurous guests, Narina Bush Camp can be reached by horseback down the mountains. 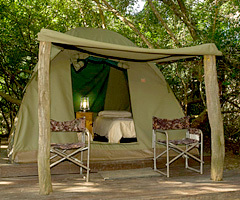 The Camp has five fixed tents which sleep 2 guests in each. Bedding and towels are provided. There is no electricity, but the kitchen is equipped with a gas stove, fridge, cutlery, crockery and cooking utensils. Spekboom Tented Camp has a fenced hide, overlooking a waterhole which affords visitors the opportunity of watching the animals drinking, not only during the day but also under starry skies in the evenings. 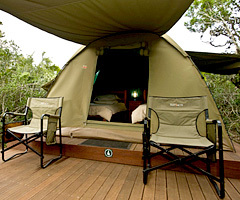 The Woody Cape overnight hut consists of two bedrooms and is equipped with 12 beds with mattresses. Guests need to provide their own bedding. The kitchen is equipped with a two-plate gas cooker, crockery and cutlery. There is a Rain Water tank for drinking and cooking water, but there are no showers.